The price is purposely low so that ALL parents can afford it. Simply click on the licence which refers to the duration of time that you will require it. For example, a family who has a child in P6 and then another one in P5, the Cat licence would be perfect (expires Dec 2020). Or, if you have a child in P6 and another one in P4, it would be cost efficient (only £15 for each additional year) to purchase the Elephant licence, which the P6 would use and then had over to the P4 child when they were at the age to pick up the reins and start their preparation for the test. If you have more than one child and would like a licence that is not detailed below, just let me know and I can arrange something specific for you. All of these are a one-off payment until they expire. 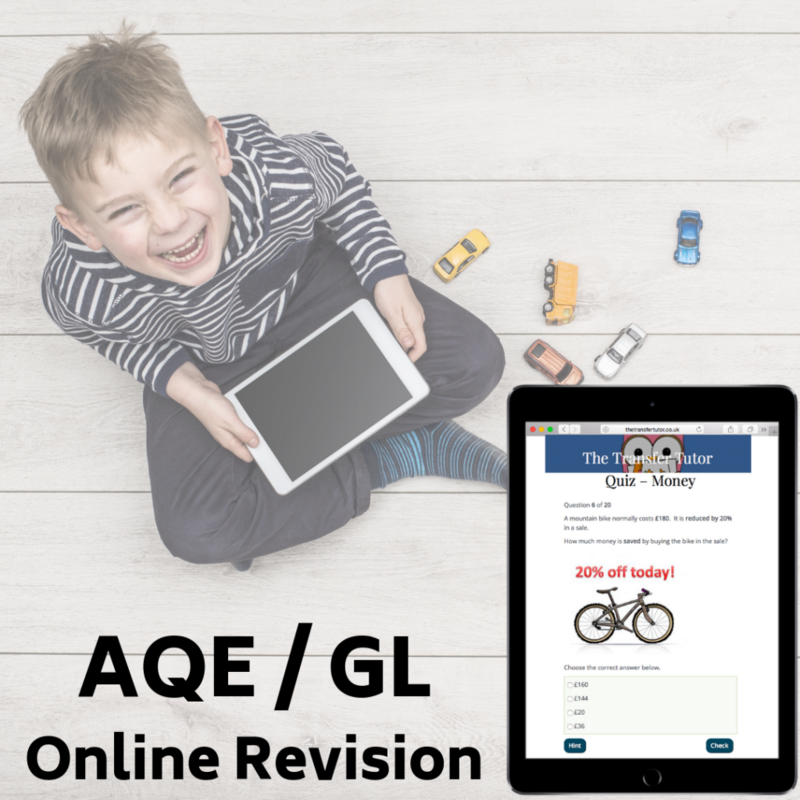 Has a complete focus on the AQE & GL specification. Is mobile friendly working on smartphones and tablets which most children have access to. In many questions, there will be a ‘hint’ option that offers the child details on the ‘rule’ or aids them to complete it correctly which helps their future application of the same type of question. Has a function built in that the parents will be emailed with the child’s score when they have completed a test, so parents can track progress and also know the child is not off playing Minecraft or Candy Crush when they should be revising. Question areas broken down into specific categories which allows the parent and child to identify areas of weakness and to focus on these for improvement. Although tests will have more than 20 questions ‘behind the scenes’, the child is only faced with a random 20 questions each time so they can try the same test many times and will be getting different related challenges. Not just practice questions, but if the child gets it wrong, the system will provide information on the rule or reason as to why this is happened, so they can build on their fundamental learning for the next time. Leader board with the most recent 10 attempts listed (from all people) and this offers a level of competition that makes the child strive to be better. Child friendly with the use of colours and pictures which encourages the child to want to log on and try a new quiz every day. 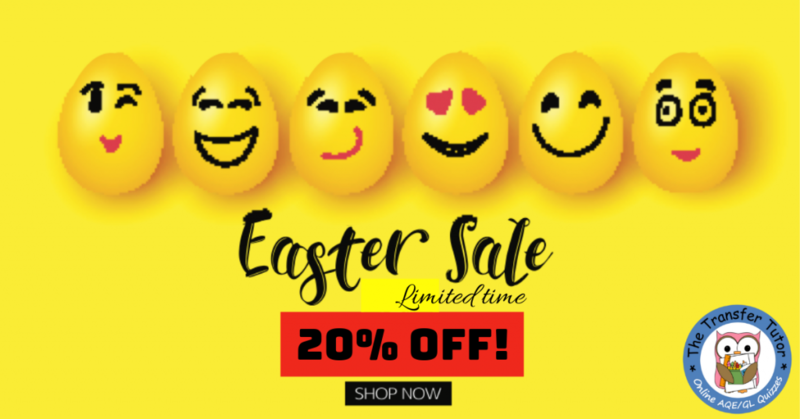 So, to get going today with your son/daughter, click on the Buy Now button below to go through the setup process which should take you less than 1 minute. To give you a feel for the quizzes, start the free quiz by clicking on the button below. 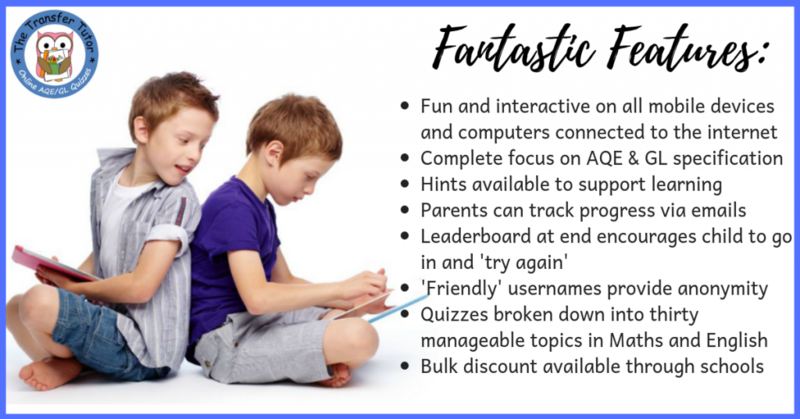 The quizzes have been a great success with parents and kids and has already received impressive 5* Facebook Reviews, and many Business Awards, so definitely worth checking out.